It’s been more than a few late nights in the making, but sixteen months and 68,000 words on, the early release of my new book is now available on line through Smashwords: https://www.smashwords.com/books/view/466848. Apple iBook, Kindle, and a number of other platforms will come online soon. Dr Caroline Leaf is a South African communication pathologist and self-titled cognitive neuroscientist, now based in the USA. 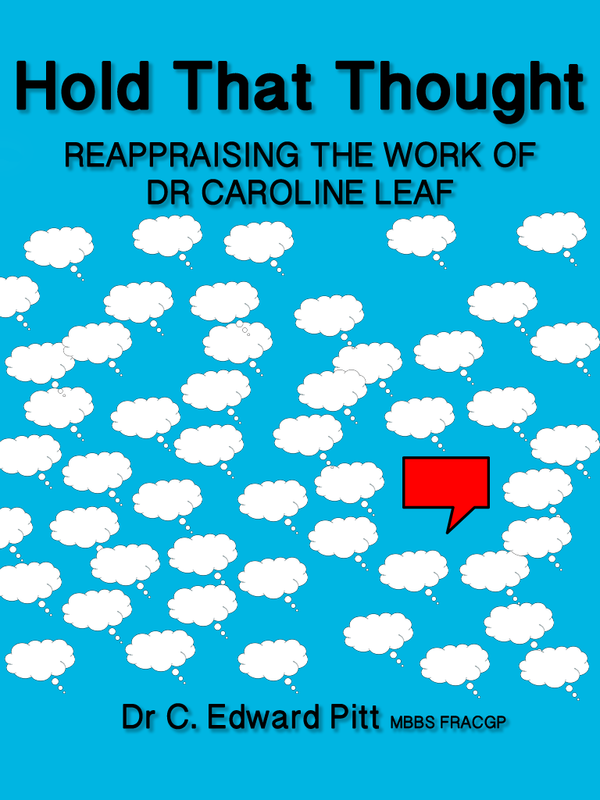 This book is an in-depth look at the current scientific understanding of thought, stress, free will and choice, as well as a thorough critique of Dr Leaf’s foundational teachings and the evidence she provides as proof of her hypotheses. In the coming few days, I will make the text of the book available on this blog as well. If you have any questions, send them in. I’m happy to put up a FAQ page. And as always, I’m happy to answer any legitimate criticism of my work, so long as it’s constructive and evidence based, not personal. And as always, Dr Leaf herself is welcome to comment. Indeed, I would value her feedback, and I’m sure any comment she wishes to make would be welcome by the Christian community as a whole.